Howard Savings Institution was founded in Newark, in 1857. The bank met its demise in 1992, during the Savings and Loan crisis. The coin banks shown in this blog date from the first quarter of the 20th century. 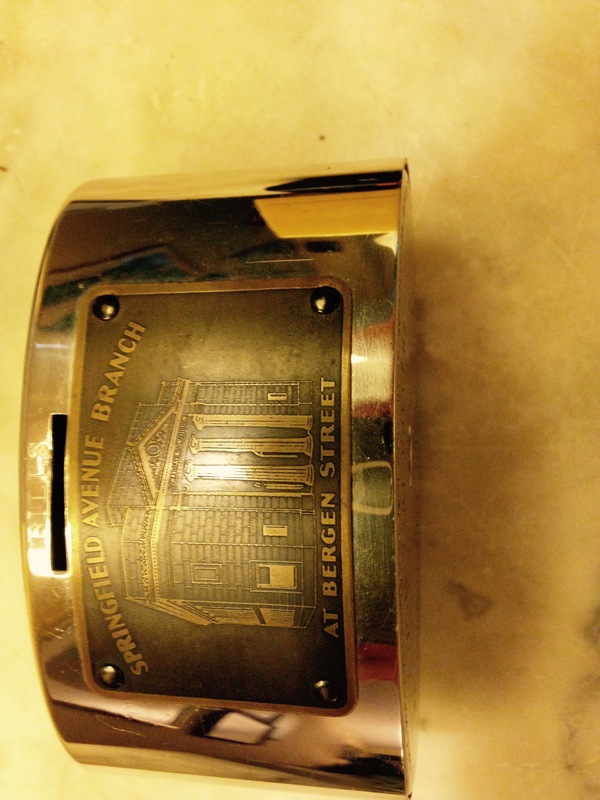 These coin banks not only showcased the bank’s expansion and progress, but hopefully, got you to save. The thought was that when you filled the little bank with coins you would go to the large bank and deposit them. 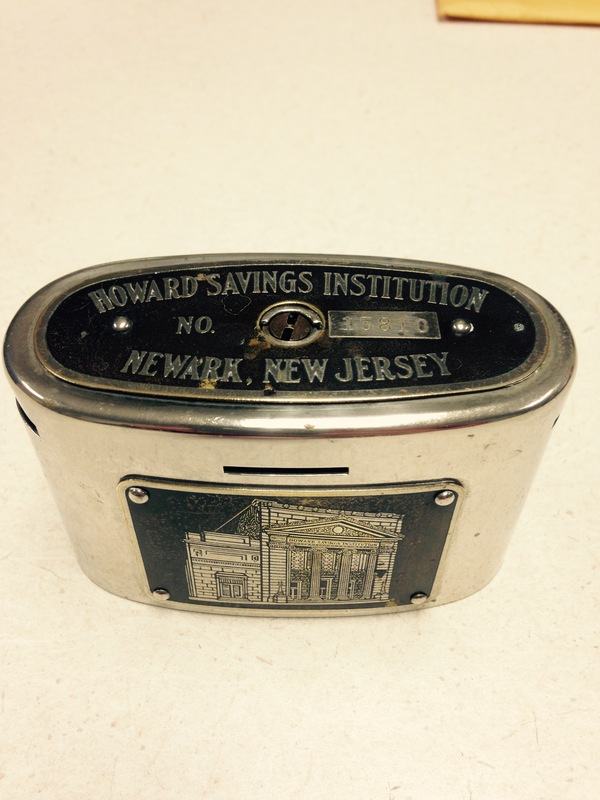 One of the coin banks depicts the Howard’s main branch on Broad Street in downtown Newark. The other shows the Springfield Avenue branch on the corner of Bergen Street. The Springfield Avenue branch is one of a handful of pre 1967 buildings in that neighborhood. The bank sits across from the Newark Multiplex and diagonally across from Applebees. The building is still in use as a bank.